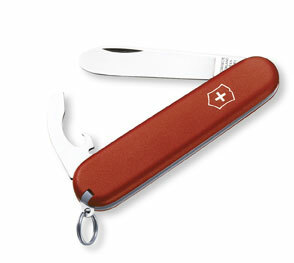 My First Victorinox is aimed at younger people. It is a valuable training tool when it comes to teaching the responsibility of owning and using a knife. Care has been taken to make this knife small and a little safer to operate.